Home » Products » Blog » As Seen and Heard On... » FormDecor: From our Warehouse to Your TV Screen! 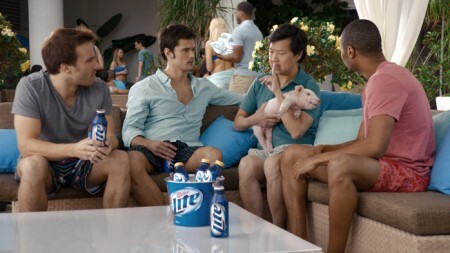 Have you noticed some familiar furniture rentals on your favorite TV shows and commercials lately? From ‘Werking’ it on the set of RuPaul to subltly basking in the spotlight behind big names like Kate Upton and Questlove, FormDecor is making our presence known in a big way. See our on-screen moments below! FormDecor is back with a vengeance on Season 5 of RuPaul’s Drag Race. This time, our Sunset Sofa, Rouge Lounge Chairs, Pucci Pillows and Greek Key Rug, provided a vibrant set just as FAB as the Drag Queens themselves! For photos of this colorful set up, check out FormDecor’s Facebook page! 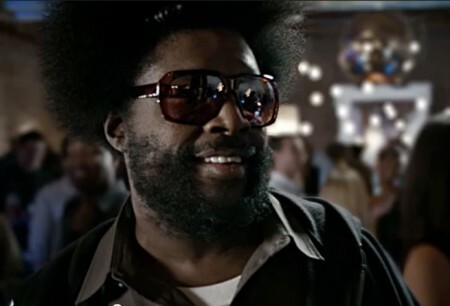 FormDecor is always ready for the party, and proves it in this series of ads for Miller Lite featuring the Root’s Questlove and Ken Jeong from The Hangover and Community. Our Copper Pendant Lamp and Grand Baroque Mirror added class to Questlove’s bar party, while Ken Jeong gets the ladies attention in his own quirky way around our Marcel Breuer Nesting Table. While Kate Upton reveals what women want in men’s styling, FormDecor shows what makes furniture rentals stylish in this Gilette commercial. Our Industrial Backlit Bar, Bliss Bar and Carre Banquet subtly provide glamour to this hip pool party. What is your favorite FormDecor TV moment? This entry was posted in As Seen and Heard On... and tagged rupaul's drag race, formdecor television appearance, gilette, kate upton, ken jeong, miller lite, questlove, rupaul, the roots. Bookmark the permalink.